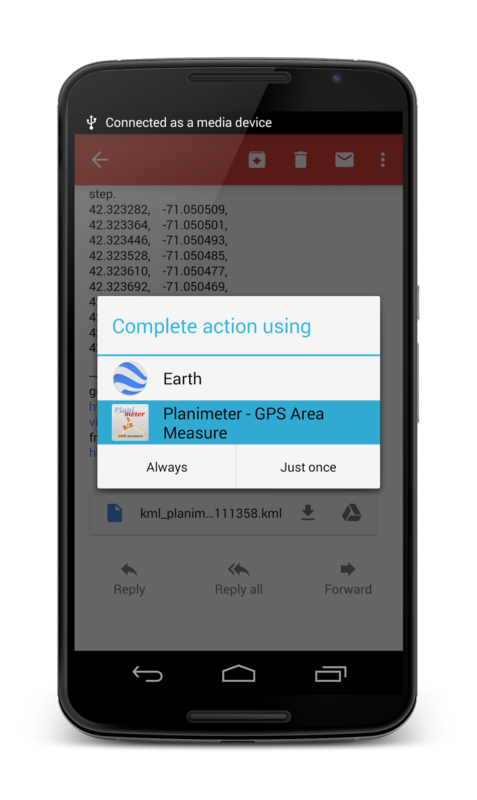 Planimeter update v4.6.0 for Android brings one more free feature into the app - directions to multiple waypoints of your track with Google Maps. Now you have direction button on the screen to call Google Maps (latest version of the app with support of multi-stop navigation is required) and to get directions through all points of a route planned in Planimeter. Short touch on the button starts navigation from the first points of the route. Long touch - your current location used as a start point.